The same day a Massachusetts educator was laid to rest, authorities arrested a Norwood man in connection to a hit-and-run in Somerville. 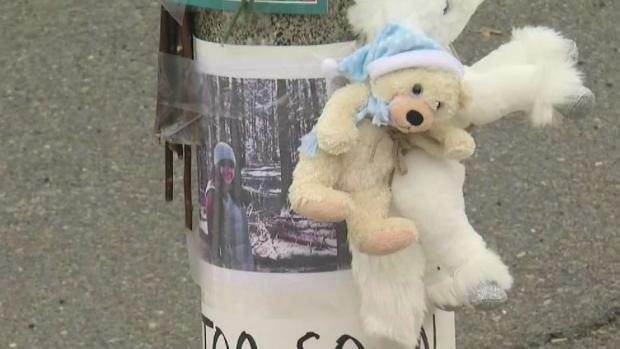 Nearly a week after a popular Massachusetts school administrator was killed in a hit-and-run in Somerville, authorities have arrested a Norwood man in connection with the crash. Middlesex District Attorney Marian Ryan announced Thursday that Edward Clark, 55, was taken into custody earlier in the day. He has been charged with leaving the scene of an accident causing death. Additional charges could be pending. Forty-year-old Allison Donovan and another woman were hit by a vehicle Feb. 8 at about 7:15 p.m. in a crosswalk near the intersection of Hardan Road and Powderhouse Boulevard. Donovan was taken to Mount Auburn Hospital, where she later died. The second pedestrian suffered non-life-threatening injuries in the crash and was released from the hospital. A teacher was killed in a hit-and-run crash in Somerville, Massachusetts. Through an investigation, authorities were able to track down the suspect vehicle, described as a black Ford F-150. Images of that pickup truck were obtained on surveillance at nearby Tufts University. "Today, a Tufts University police officer located a truck with front-end damage consistent with that description that had been made available on University Avenue. He notified the Somerville Police, investigators located the suspect, who is the registered owner of that vehicle. Subsequently placed him under arrest," said Ryan. Somerville Mayor Joseph Curtatone said Monday speed played a role in the crash. "This was at least a case of reckless disregard for human life," Curtatone said. "To say excessive speed is involved is being conservative." Donovan, described as a wonderful and joyous teacher by parents, worked as an educator and administrator in the Watertown Public School systems. She also spent two years working as a principal at Lincoln Elementary School in nearby Melrose where "she sought to lead the Lincoln community with kindness, good humor and concern for the well-being of all our students," the school system superintendent said in a statement. The arrest of Clark came on the same day Donovan was laid to rest. Speed and aggressive driving is believed to have played a role in the crash that killed 40-year-old Allison Donovan in Somerville on Friday night. Clark is expected to be arraigned Friday in Somerville District Court. It's unclear if he has an attorney.